Organising a passport for a child can be a worry for some parents. Getting an appropriate baby passport photo can be one problem, whilst for some, understanding the passport eligibility criteria and completing the paperwork can be stressful. The actual process is relatively simple. 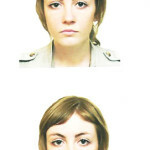 You will need to make arrangements for the child’s passport photo yourself. Then you can apply for a child’s passport either online or pick up an application form at the Post Office. If you are unsure about completing the form, the Post Office offers a Check and Send service where a member of staff will check your child’s passport application form before it is sent. The application must be signed by an adult with parental responsibility and a counter-signatory who can confirm that this adult does actually have parental responsibility. This person must also sign the back of the passport photo to confirm that it is a good likeness of the child. The child must also sign the form if he or she is aged between 12 and 15. Children who are approaching 16 must apply for 10 year adult passports. This can be done without parental consent. You need to provide originals of supporting documents to confirm your child’s identity. The application form will set out which documents are required depending on your child’s circumstances. These will be returned to you by post and you can pay an extra £3 to have them returned by secure delivery. As with applications or renewals for adult passports, you can track the application online – immediately for online applications or after three weeks if you have applied by post. There are specific procedures in place for children who are adopted, fostered or born through either assisted reproduction or surrogacy. For example, there are different processes for children who were adopted from abroad compared to children adopted in the UK. 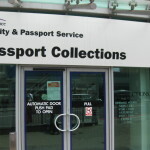 If you are fostering a child who requires a passport, you may have to liaise with both the passport office and the local authority under whom the child is in the care of. Try and make sure you leave plenty of time for these organisations to do what is required.